Cocktail function or Wedding, right through to funky jazz for dancing. 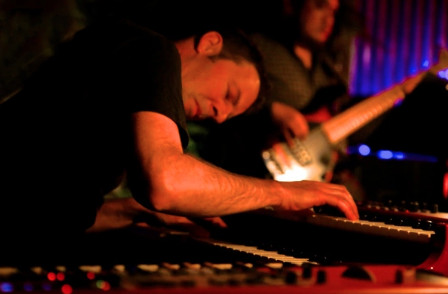 Grant Winterburn has emerged as one of NZ’s leading jazz keyboard players on both piano and organ. He is experienced as a soloist, band leader, session musician, musical director and music tutor. Grant is a highly sought after musical director in the theatre realm – The Threepenny Opera, The Rocky Horror Show, The 25th Annual Putnam County Spelling Bee, Geoff Sewell (Amici Forever) and a sensitive accompanist to divas such as the Ladykillers (featuring Jackie Clark) and Jennifer Ward-Lealand. Grant is ideal for any live jazz be it background jazz at a cocktail function or wedding, right through to funky jazz for dancing.